The property is located on the main A41 Soho Road. The A41 being a main arterial route from Birmingham City Centre to Junction 1 of the M5 Motorway. The local area consists of a high density of ethnic food stores and businesses. Birmingham City Centre is located approximately 2.5 miles south east of the subject premises with the M5 motorway located approximately 1 mile north west. The property comprises an end-terrace three storey modern building of steel portal frame in construction with external cladding surmounted by a flat roof. 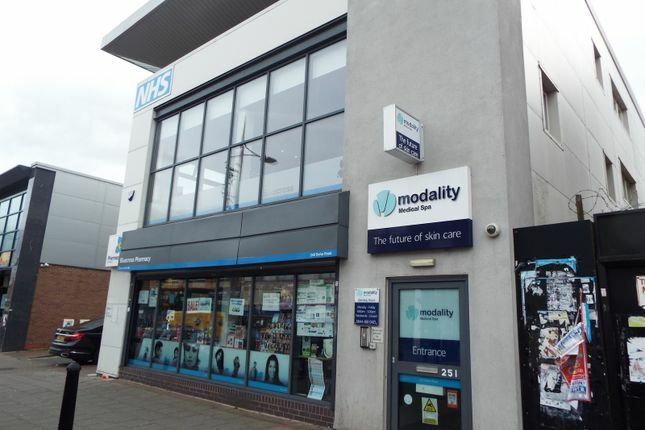 Internally the property has been divided to provide a retail unit on the ground floor and office accommodation on the upper floors which is accessed via an entrance to the side. The vacant accommodation is available on the second floor and benefits from carpets, plaster & painted walls, suspended ceilings incorporating inset ceiling light points, cat 5 cabling, power points, air conditioning, lift access, a kitchen area and communal WC facilities. Externally there are two car parking spaces available with the offices. Full rent details can be found in the downloadable PDF brochure.